Sarke (the man) has kept himself busy over the years, most notably as the drummer for seminal Norwegian black metal bands Tulus and Khold. In 2008, he joined forces with the one and only Noctuno Culto of Darkthrone fame, to start a solo project (of sorts). 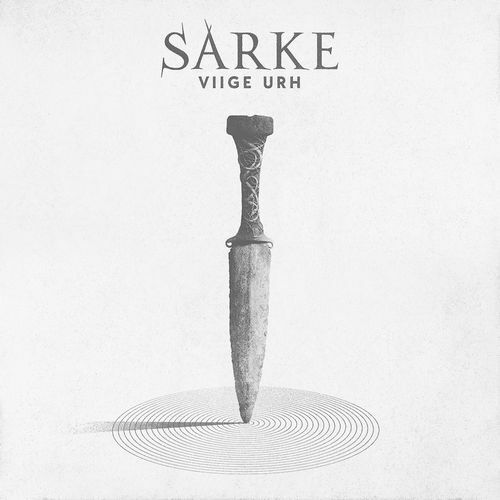 Nearly a decade later, and a laundry list of past/current members (including current and ex members of Ihsahn, Borknagar, Susperia, Spiral Architect, and Satyricon to name a few), Sarke (the band) returns with album number five, Viige Urh, released through Indie Recordings. At first glance, Viige Urh shows Sarke doing business as usual; mid-tempo black metal with a calculated precision and swaggering, muscular edge. Not much has changed with the band’s sound over the years, and this latest offering is no different. There’s a lot that could be said for consistency over a career, but it seemed that Sarke’s well was beginning to dry up on their last album, Bogefod, where they began trading primal atavism for a more mature approach to mixed results. Viige Urh sees Sarke bridging the gap between the band’s first two albums and the atmospheric doominess of Bogefod. The result is an album that not only pulses with cold atmospherics, as heard during the thundering “Punishment to Confessions,” but also one that thumps its chest with swaggering bravado, like the catchy riffing on the title track. Overall, Viige Urh is a much more varied album than previous works. Though the majority of the album sees the band’s clinical approach to pulsing, grooving, mid-paced black metal, tracks like the rollicking, Immortal-esque “Knifehall” and the female vocals alongside Nocturno Culto’s graven snarl during “Jutul” show a band stretching out their legs while not moving too far from what works for them. If nothing else, the album sees Sarke bringing together the mature sound of the last album with the methodical, mid-tempo pulsing of earlier material. The riffing is beyond solid, and the leads are much stronger this time around, as well, but it’s clearly cut from the same cloth as the rest of the band’s catalog; which isn’t a bad thing, at all. This entry was posted in Black Metal, Reviews, Thrash Metal and tagged black metal, Celtic Frost, Darkthrone, Indie Recordings, Khold, Sarke, Satyricon, Thrash Metal, Tulus, Viige Urh.